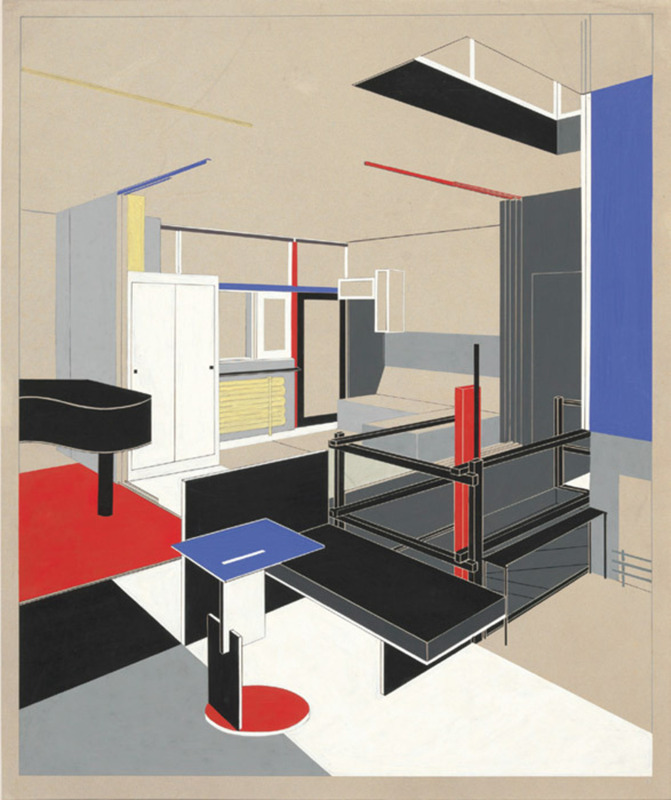 Gerrit Rietveld, Rietveld-Schröder House, 1924, Utrecht, the Netherlands, rendering showing girl’s sleeping area, 1951, collotype on paper, 19 1/4 x 25 1/2". No design emblematizes De Stijl as powerfully as Gerrit Rietveld’s canonical Red Blue chair (1918/1923), with its demonstration of what Theo van Doesburg admiringly described as a tension between structural necessity and the “firm visualization of open spaces.” But Rietveld’s oeuvre cannot be reduced to De Stijl contributions alone. In an effort to more broadly situate the Dutch architect and designer, Vitra has gathered more than four hundred objects, drawings, and photographsincluding the ever au courant Zig-Zag chair (ca. 1934), materials related to his incomparable 1924 Schröder house, and many seldom-seen prototypes, models, and designs, as well as works by Frank Lloyd Wright and Le Corbusierwhich, taken together, promise to contextualize Rietveld’s career and creations anew. Ida van Zijl, of Utrecht’s Centraal Museum, draws on decades of research in her contribution to the catalogue.